Two of my favorite kinds of music to listen to are heavy metal and video game soundtracks. When the two come together, magic happens. 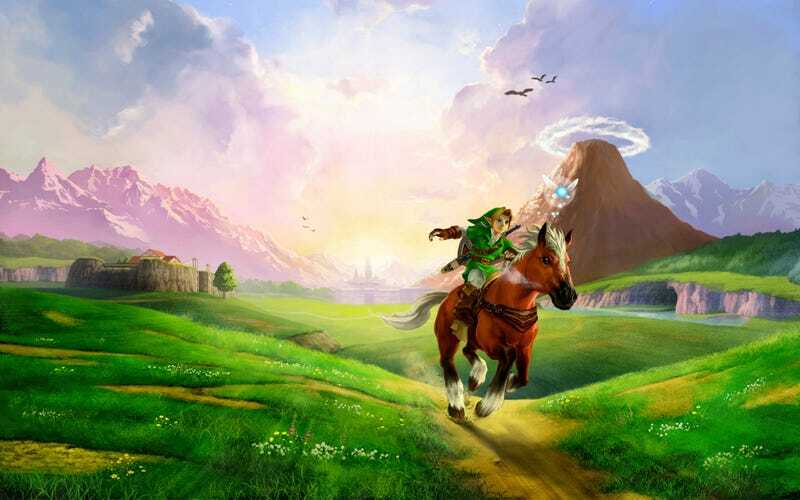 When it comes to video game music, The Legend of Zelda series ranks near the top for me. With that in mind here are five of my favorite metal covers of Zelda songs! Ro Panuganti makes awesome metal covers of music from video games, as well as the occasional film or TV show. What really sets him apart from others is his epic progressive metal arrangements. What really makes this particular cover of the music from Ocarina of Time’s Spirit Temple stand out among all his other spectacular covers is the splash of Indian fusion he throws into the arrangement. The use of the sitar on this track blends so nicely with the djenty guitar riffs and really fits with the Eastern vibe of the Spirit Temple. This cover also features a sick guitar solo from ArtificialFear, another VGM cover artist on YouTube. RichaadEB makes insane metal covers of music from video games and anime, and is probably most notable for his collaborative Undertale cover album with Ace Waters, titled Determination. His arrangements tend to be complex and progressive at times, which is when I think he’s at his best. Midna’s Lament is one of the most standout tracks from Twilight Princess’s soundtrack, and this cover takes it to a whole new level. The cover opens with haunting clean guitars before kicking in with the pummeling riffs and drums behind the soaring melodic leads. It then pulls back at the halfway point and the guitars take a back seat to a beautiful saxophone solo performed by insaneintherainmusic, who makes amazing jazz covers of video game music. The inclusion of the sax just makes the song stand out as one of the most unique Zelda metal covers I’ve ever heard. ToxicxEternity has been making metal covers of video game music on YouTube for years, longer than most of his contemporaries. He’s done countless covers, but one I always come back to is his excellent take on the opening theme from Wind Waker. He starts it off with this awesome combo of acoustic and clean guitar, giving the track a neat folk metal vibe. The second of the track features some sick dual lead guitar parts that scream Iron Maiden. It all comes together very nicely for one epic song. Though he has since moved on from making video game covers to pursue making original music, CSGuitar89 used to make amazing rock and metal guitar covers of video game music, especially from The Legend of Zelda series. He released a full album of Zelda guitar covers, titled Hymns of Light and Shadow, before releasing albums was a common thing that VGM cover artists did. Though not on the album, his cover of the Ocarina of Time battle theme is one of my favorites of his. For one thing, it’s a rarely covered track, but most importantly, this cover is amazing. It really captures the eerie, unsettling vibe of the original track at the beginning before coming in with the super heavy djenty riffs that sound like they’re right out of a Meshuggah song. This cover slays, and is easily one of the heaviest video game covers I’ve ever heard, short of something from 2016's DOOM. With nearly 300k subscribers on YouTube, FamilyJules is one of the most popular VGM guitar cover artists on the platform. His take on the simple, upbeat market theme from Ocarina of Time is probably my favorite cover of the theme. The cover is packed full of happy as all hell lead guitar bits that always bring a smile to my face. He also throws in a few parts with acoustic guitar and cello for good measure, keeping things interesting. It’s not the most complex or technical arrangement out there, but sometimes all you need is simple and straightforward metal cover to please your ears.